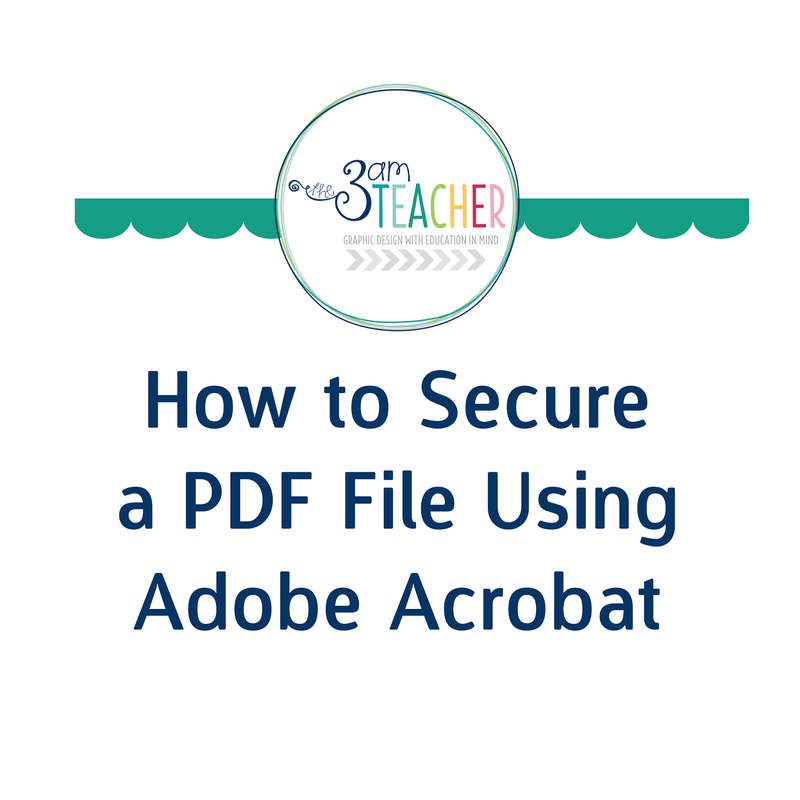 The 3am Teacher: Something NEW & a FREE Tip Sheet: Learn How to Secure PDF Files Using Adobe Acrobat in Just a Couple of Minutes!! 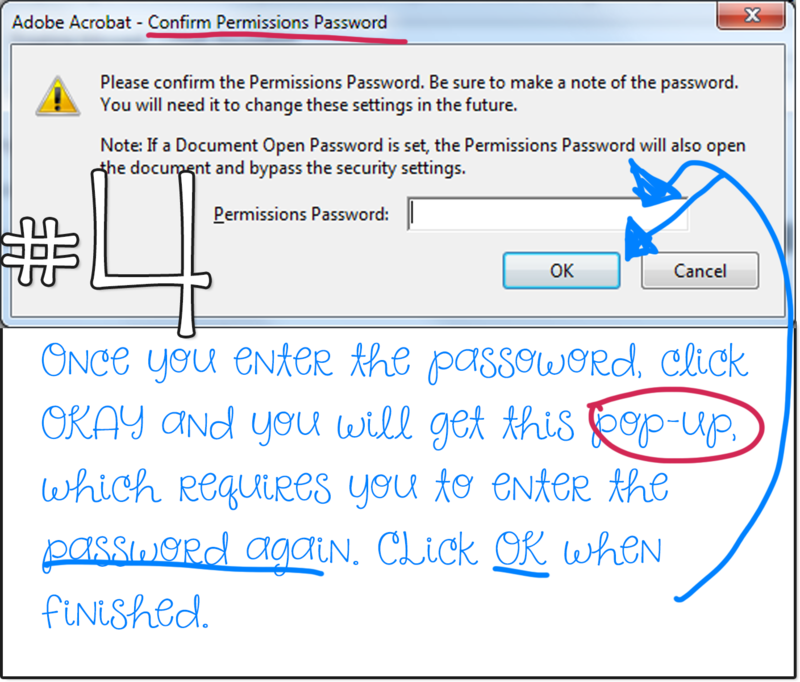 Something NEW & a FREE Tip Sheet: Learn How to Secure PDF Files Using Adobe Acrobat in Just a Couple of Minutes!! I don't want to brag or anything, but I am IN LOVE with my new new make-over!! It has taken me about 5 different looks and over 2 years to finally settle with a blog design I will keep for a long while!! I have been very busy on other designs as well!! I have two that are in progress, three more finished and I am booked through the month of August of this year!! Holy cow.... I am feeling very blessed! 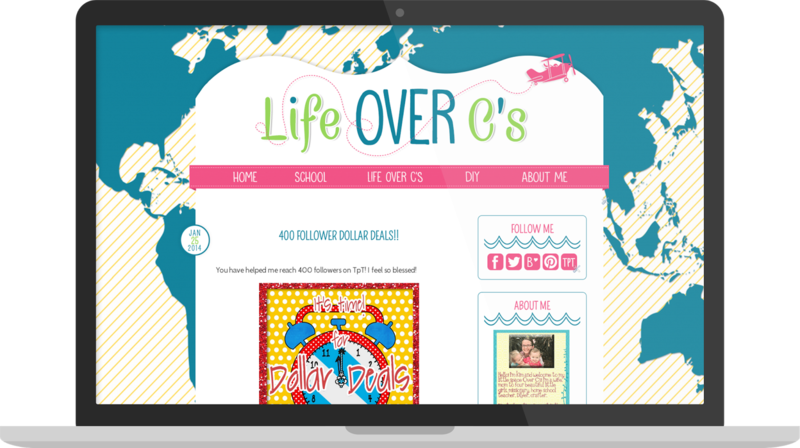 I am not completely finished updating all of my blog pages, but if you scroll over the colored boxes above, and click on the Portfolio link, you will see the custom blog designs I have completed over the last year. Each of my newest designs are completely unique to each blogger and their style. I am having so much fun being able to create so many different styles. I have noticed that yellows, grays, and teals are definitely the HOT colors this year!! I hope you got a chance to visit the lovely ladies' blogs above!! I only have two spots left open for this year and once they are reserved, I will close the form until 2015!! 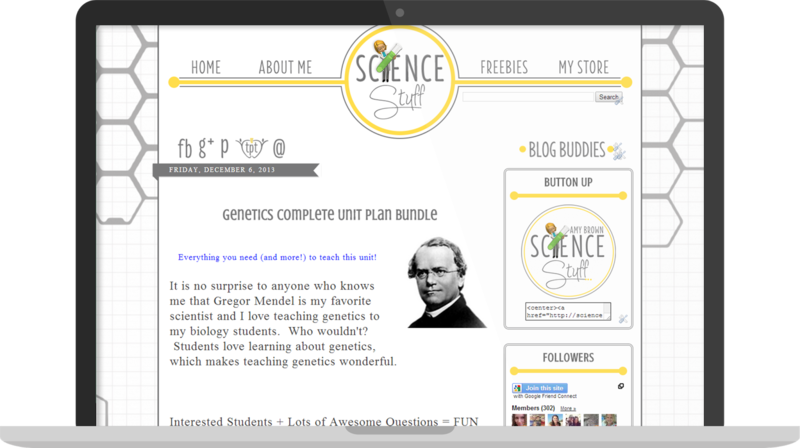 If you would like to get a Custom Blog Design this year, you can click HERE to complete the order form. 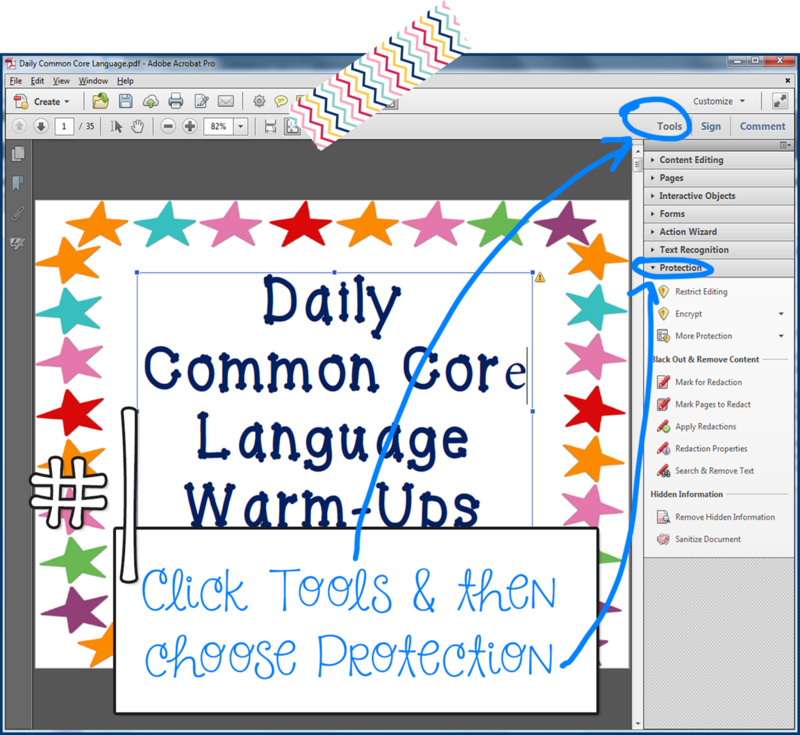 I also have a little tutorial tip for all of you Teachers Pay Teachers Sellers!! Over and over I get asked if converting a file to PDF is enough to protect copyrighted images and the content in digital products. The answer is.... NO. 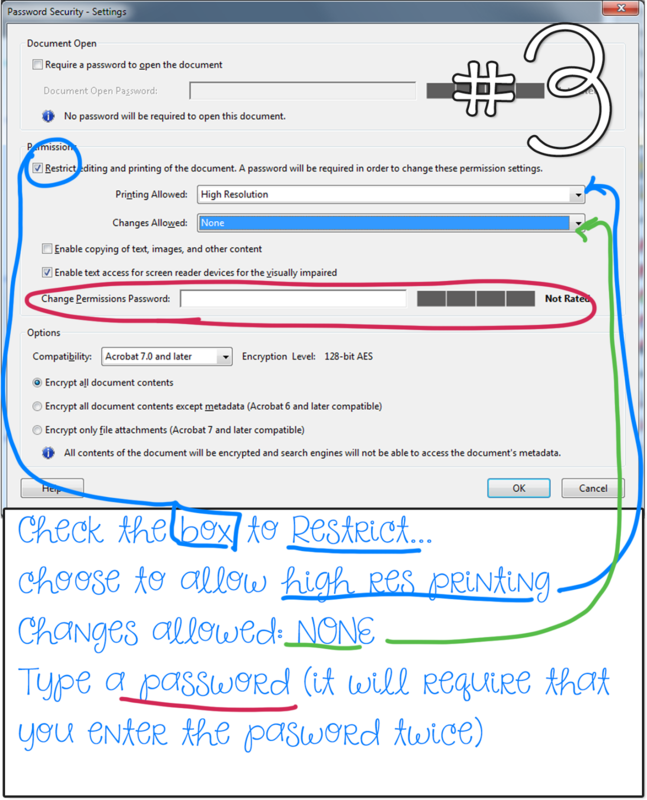 If you already own a version of Adobe Acrobat, then this tip sheet might be very useful to you. I created this today very quickly to help out a seller who emailed me. I blocked out the name of the seller on the file, but I decided that I would share this little goodie. 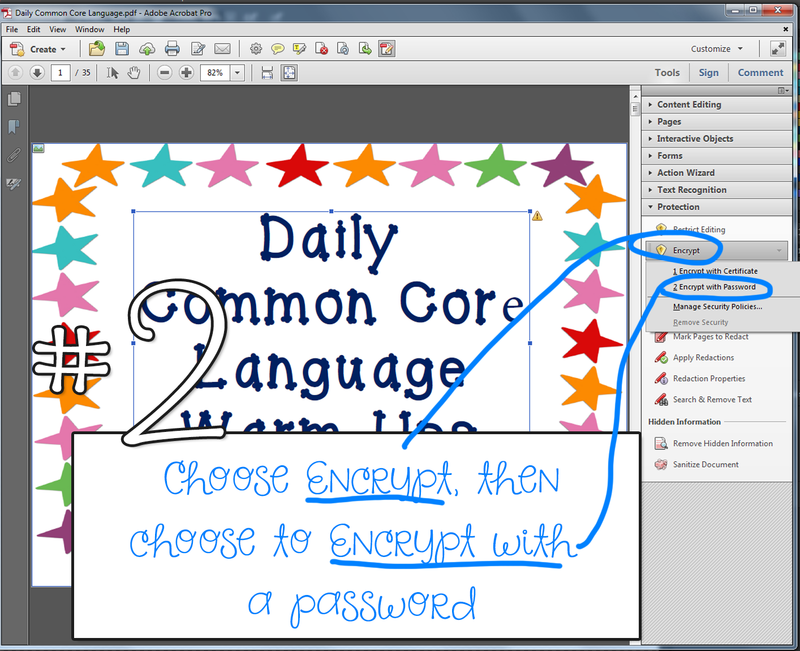 Some of you might already know how to secure your files and feel confident doing so; however, you can also grab this goodie as a resource to have on hand if and/or when someone asks you how to secure a PDF file. In the tip sheet below, I am using the latest version of Adobe Acrobat X1 Pro; however, older versions are quite similar in terms of securing the files. Although this tip sheet was just thrown together in a bit of a rush, it will take you through the most basic steps in just a few minutes! As always, thank you for stopping by and for your continued support!! Well, apparently Blogger will not allow me to load the image in its original size, so here are the individual screenshots below... sorry about that everyone!! Great tip. I LOVE the new look! You are very talented! Thanks Michelle - perfect timing, as I had just logged on to find easy instructions! Your new design is gorgeous, Michelle! This tutorial is great and so helpful to so many! 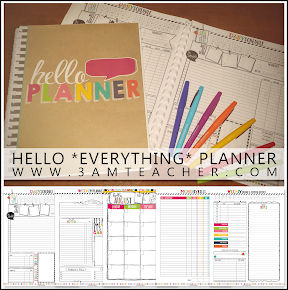 I am new to the blogging world, but i must confess, I have been stalking your blog for a few months. I am in love with your design style. I designed my page myself but there is SO MUCH I still do not know. Anyway, thank you for the tip. 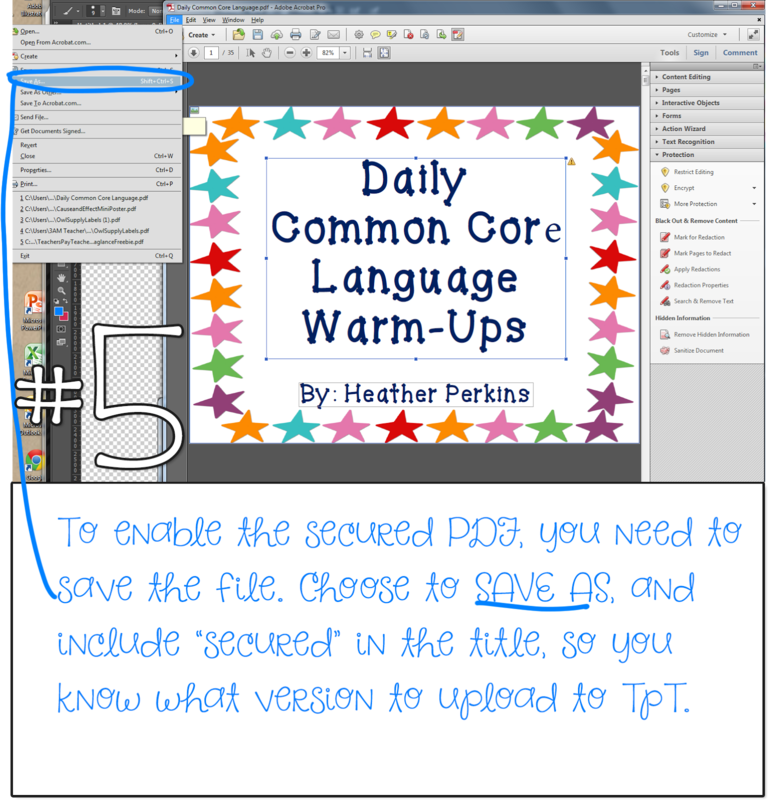 Will you be posting a copy of this for download on TpT? 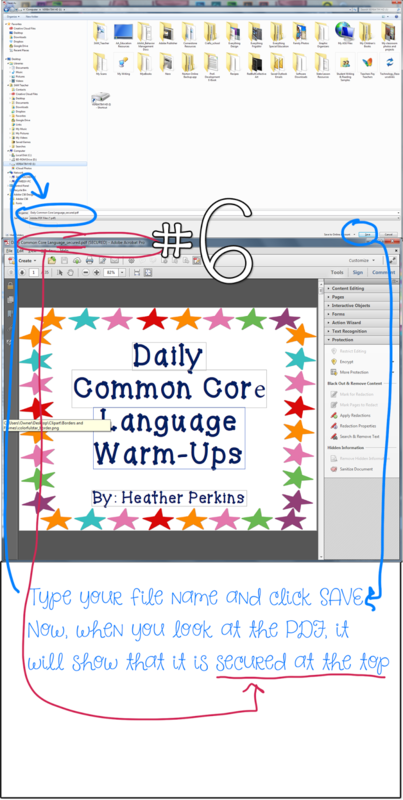 I am creating tip sheets that can be printed... which will make these tutorials much easier to access and save. Funny timing! I'm new to Teacher Pay Teachers and just bought Adobe Acrobat 4 days ago. I spent probably 3-4 frustrating hours teaching myself how to do what you just taught everyone to do in minutes! I do feel relieved (and proud of myself!) that I followed the same steps that you outlined. I no longer have to worry that I am doing it wrong! These tips are invaluable! Thanks for the awesome tutorial! I have a question though. How do I make my hyperlinked pictures still clickable?